When that dream begins to bubble up, you might be so busy doing what I did – figuring out the next steps – that you completely forget to ask who your dream is meant to serve. 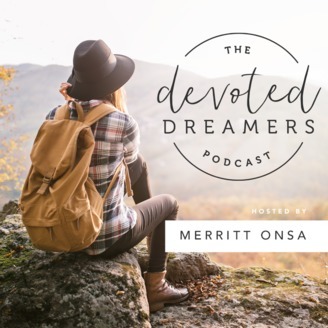 This episode will coach you through a list of questions to ask yourself, journal and to pray over as you consider who your dream is for, because one thing is for certain, if it’s from God, your dream is not solely about you. 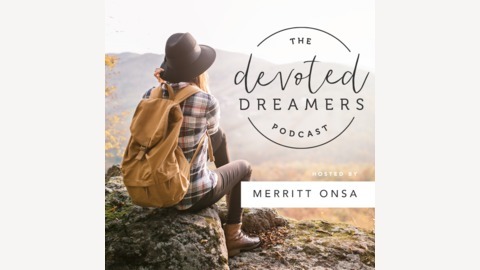 You’ll find the show notes, the homework questions, the Bible verses I mentioned in this episode, and the links to other episodes I referenced, here, in the show notes: http://www.merrittonsa.com/podcast/116. Check out the show notes for a list of homework questions that will help you process who your dream will serve. If you enjoy just one episode a month, please join my support team with a $5 monthly contribution so that I can continue to provide you with amazing content each week; just click the button above. Some links to products listed here are affiliate links. When you click those and make a purchase, I earn a commission that supports this podcast. Thanks for your support!